The coffee craze in Korea can be explained by a few factors. Koreans are overworked and lacking sleep, at least relative to other OECD nations (see Figure 2.5 of this study). Korea is a highly group-oriented society and the coffee shop serves as a great place to meet up – for youth who need to escape from the watch of their parents this is especially true. Younger Koreans are also very alert to new trends and are now absorbing elements of American/European culture into their lives. These factors help explain a few of the differences in the Korean coffee scene, at least relative to the American coffee culture that I grew up with. For one thing, coffee in Korea tends to be very expensive. Most people don't bat an eye at shelling out $4 to $5 for a cup. The explanation for this cannot be just supply chain differences – $2/cup coffee can be found if you know where to look. 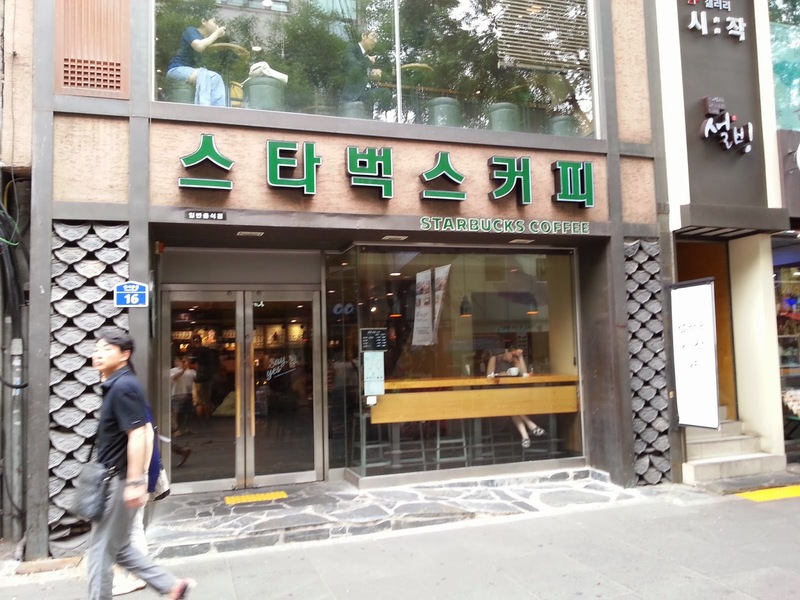 However, when you consider that Korean coffee shops tend to be rather large, even in crowded Seoul, and you think about the high rents that coffee shops must pay here, the high prices start to make sense. Another difference that my friends and I noticed rather quickly is that finding a cup of fresh coffee before 10am is not all that easy here. Morning coffee shops do exist, particularly near large office buildings, but coffee shops in Korea tend to open late and close late, usually around 10pm-11pm. Some coffee shops in high foot-traffic locations like Gangnam and Itaewon even stay open all night. Whereas the American office worker has become conditioned to pick up her first latte at 7am on the way to the office, Koreans tend to wait until lunch hour to have their first cup of the day. Coffee for Koreans means friends and colleagues, and you will find more people drinking coffee here in the evening than at morning commuting time. Because Koreans spend so much time sitting in coffee shops, the interior decors can be quite intricate. Though the chains seem to prefer dull uniformity, independent shops seem to exist in almost every neighborhood with unique wall art, plants, and music. This blogger has an excellent photographic set which captures some of the scene. As far as tastes, Koreans greatly prefer espresso drinks to drip coffee. Perhaps the Starbucks influence explains this. I find it a tad ironic that, despite being American, I never drank americanos until I moved to Korea! Yes, Korea has Krispy Kreme ... and Dunkin' Donuts!